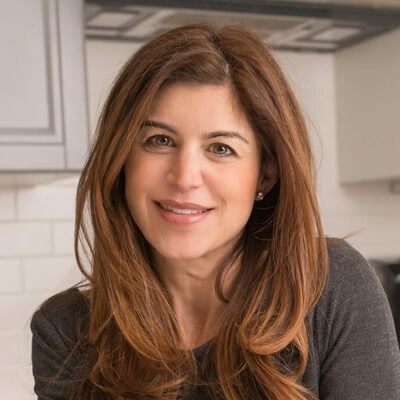 Randi Beranbaum is a dietitian in Providence, RI who specializes in binge eating, disordered eating, healthy weight management, weight loss, body dysmorphic disorder, and nutrition for athletes and women. She sees teenagers, young adults, college students, athletes, adults, families, parents, and seniors. Randi Beranbaum is a registered dietitian / nutritionist with over 20 years of experience in the field of nutrition. She received her MS in Clinical Nutrition from Tufts University and has worked as a Clinical Nutritionist at Tufts Medical Center. Randi specializes in the treatment of eating disorders, particularly binge eating, as well as weight loss, and nutrition management for athletes. She helps clients achieve a healthy balance in their relationship with food through intuitive eating, a nutrition philosophy in which clients become more attuned to the body's natural hunger signals as a way to attain a healthy weight. Randi works closely with therapists, psychiatrists, and physicians to support clients in a holistic way. In addition to her private practice, Randi also leads meal support groups at Be Collaborative Care. Binge eating nutrition therapy – Recurrent episodes of eating large quantities of food (often very quickly and to the point of discomfort); a feeling of a loss of control during the binge; experiencing shame, distress or guilt afterwards. Note: Insurances are accepted for individual nutrition sessions. Be Collaborative Care Intensive Outpatient Program is in-network with Blue Cross Blue Shield & Tufts Health Plan only. Note: Please note Randi is not in-network with Medicare or Medicaid plans. "Are you confused by the conflicting messages about what to eat? Do you find yourself eating mindlessly, emotionally, or going back and forth between being "good" and "bad" about eating? Are you ready to find some balance in your relationship with food, discover your own unique eating style, and feel better in your body, mind, and spirit because of it? You really can find peace with food, eat in a way that is health-giving and sustainable, and maintain your own healthy body weight without depriving yourself. You will feel clearer about your dreams, goals, and purpose on this planet when you spend less time worrying about your body and food. It is my passion to help my clients find the way to eat that best suits their individual bodies and lifestyles. Balanced eating should help you feel your best and not take too much effort, so that you can spend your time living the life you want to live. I believe that recovery from disordered or emotional eating in all forms is challenging but possible, and I would be honored to help you on this journey." Medical Nutrition TherapyMedical nutrition therapy is a dietary intervention that is used to treat health conditions that are caused by or made worse by unhealthy eating habits. Please note Randi is not in-network with Medicare or Medicaid plans.